Estate law involves complex nuances of language, and the terminology can be baffling to non-lawyers. You can always count on a will lawyer near Tracy or Manteca to fully explain anything that isn’t clear to you. 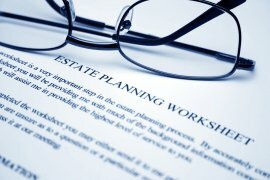 However, it’s still advisable for all adults to have a basic understanding of the most common estate planning terms. Your will dictates how, after satisfying debts, your remaining assets in your estate will be distributed to your heirs. Heirs are also called beneficiaries. You can use your will to distribute specific pieces of property if you wish, or to provide for your pets in the event that they outlive you. If you have any minor children, you should use your will to designate a guardian for them. A guardian is someone whom you trust to raise your minor children in the event that you die before they reach the age of majority. The executor of your will is the person who will be responsible for seeing that its terms are carried out. Even when the executor works with a lawyer, he or she will have many complex responsibilities. Before designating an executor, you should ask that person if he or she is willing to take on these responsibilities. A trust is a document that is legally binding. You can transfer assets into the trust during your lifetime. The trust manages the assets, and after your death, the trust distributes the assets to your beneficiaries. A trustee is a person whom you’ve designated to manage the trust. A trustee might also be a corporate entity instead of a single person. Trustees are responsible for administering and distributing the trust in accordance with the instructions in the trust document. Probate is a legal process. It begins when the executor of a will files the will with the probate court in order to validate it. Validating a will means to prove that it’s legally valid. Probate involves paying the decedent’s debts and distributing the remaining assets. For many people, it’s important to know that they are able to leave a legacy to their children after they die. If you’ve decided it’s time to make your will, you can turn to an estate planning attorney in Tracy or Livermore for guidance. Your lawyer can help you sort through your options for leaving assets to your adult children and other beneficiaries. If you have multiple children, it may be challenging to divide your estate in a manner you feel is fair. Remember that being fair doesn’t necessarily mean giving equally to each of your children. Perhaps one of your children is a successful entrepreneur who doesn’t have as much need of your gift as another child who works for a nonprofit organization. Perhaps you are estranged from one adult child, but another has been a devoted caregiver for you during an illness. You can also consider whether you truly want to leave your entire estate to your adult children. Perhaps you want to leave gifts for your grandchildren, nieces and nephews, and favorite charities. If you wish, you can explain your decisions in a letter addressed to your loved ones, which can be opened after your death. Leaving a legacy to your adult children can feel personally satisfying, but what if you wish to see your children benefit before you die? Ask your will attorney about planned giving during your lifetime. You may wish to help one of your children start a business or finish a college degree. Planned giving during your lifetime is also a way of evaluating whether your children would handle a large inheritance responsibly. Even the most responsible of individuals can make foolish decisions in the wake of a beloved parent’s death. If you’re concerned about your children squandering their inheritances, consider having your lawyer set up a trust. When you transfer assets into a trust, you can place conditions on their distribution. You may wish to set up periodic payments to your beneficiaries. You could even entice a less-than-motivated child to be a productive member of society by matching distributions with the adult child’s income. If you choose this option, your lawyer will recommend allowing exceptions for disability and retirement. 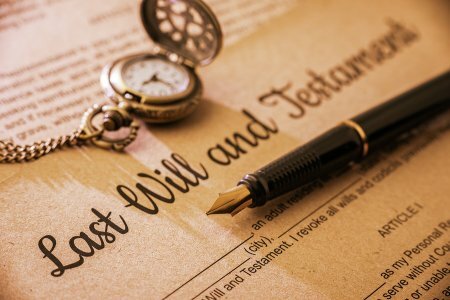 If you aren’t sure whether you should set up a trust or if you have never made a will, it’s time to visit an estate planning lawyer in Tracy or Manteca. A seasoned lawyer can explain complex estate planning structures, review your unique situation, and offer effective legal guidance that protects your best interests . 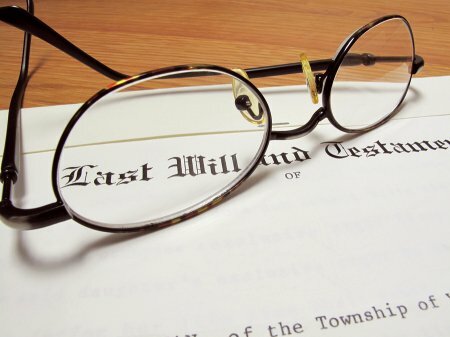 Remember to bring a list of your questions to your consultation with the will attorney. 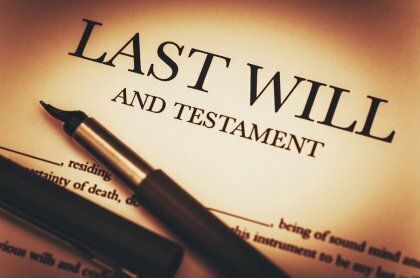 A last will and testament is a legal document that ensures that your wishes are carried out after your death. It is possible for a will not to be enforced if it was created improperly, which is why it’s always advisable to have a lawyer create this document for you. You may already know that wills can identify the beneficiaries who will receive your assets after your death. You may also select secondary beneficiaries to receive assets in the event that your primary beneficiaries did not survive you. One advantage of wills is their versatility. In addition to bequeathing your assets, you can use your will to identify a guardian for your minor or disabled children. You can even specify the person who should take custody of your pets. When you have a valid will, you can have the peace of mind that comes from knowing that your wishes will be honored even after you pass on. Like a will, a trust is a legal document. However, it can be used to manage assets during life and after death. Most of the time, setting up a trust does not eliminate the need to create a valid will. Your trust might not include all of your assets. Plus, you’ll still need your will to designate a guardian for your minor children and name an executor for your estate. The primary benefits of setting up a trust include protecting your assets from creditors, minimizing estate and gift taxes, and, after you die, distributing assets to your beneficiaries in a way that bypasses the probate process.